"1980 Lilley Cornett Woods Soil Data" by Ryan W. McEwan, Julia I. Chapman et al. 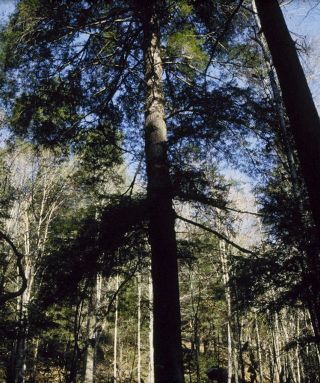 Data collected in 1980 on the soil in the Big Everidge Hollow portion of the Lilley Cornett Woods Appalachian Ecological Research Station in southeastern Kentucky. Data key is provided in a supplemental file. Notes: For 1980 methods see: Muller, R.N. 1982. Vegetation Patterns in the Mixed Mesophytic Forest of Eastern Kentucky. Ecology 63(6): 1901-1917. For 2001 methods see: McEwan, R.W., R.N. Muller, and B.C. McCarthy. 2005. Vegetation-Environment Relationships Among Woody Species in Four Canopy-Layers in an Old-Growth Mixed Mesophytic Forest. Castanea 70: 32-46.